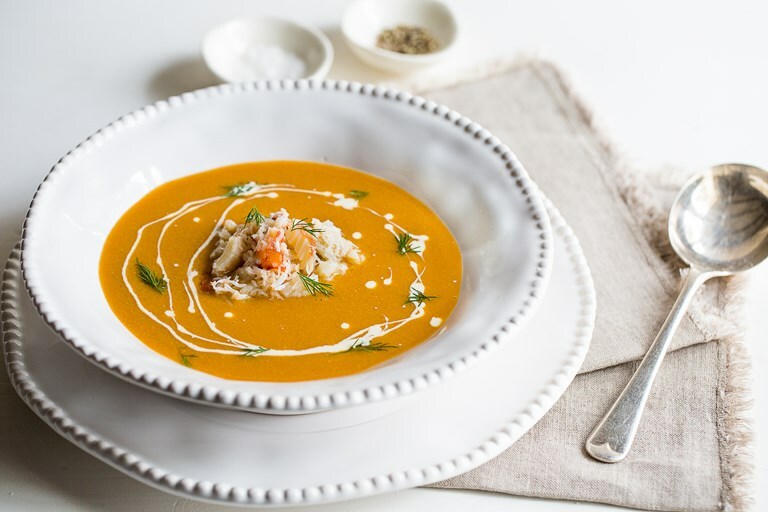 This easy crab bisque recipe is the perfect dish when you want the intense flavour from this classic dish, but don't have the time to sweat over the stock pot for hours dismantling crabs and browning shells. Using premade lobster glace adds all of the intense seafood flavour, without the hours of toil. Traditionally a bisque is made with the shells of whichever crustacea you happen to be using, usually lobster or crab. The shells are often roasted and then simmered before being liquidised. Then they are pressed through a sieve to extract as much flavour as possible and add thickness to the soup. 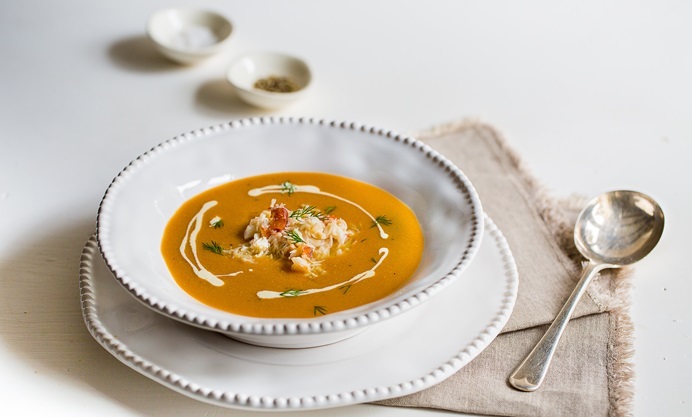 An authentic crab bisque can seem a little daunting to make. First there is usually a live crab or two to contend with, not always easy to embrace. Then, there is the time consuming business of extracting all the crab meat, reserving the shells to create the intensely flavoured soup base. This is all very well if you have plenty of time, but it is possible to achieve the same rich flavour without using a whole crab. I created this elegant full flavoured soup in little over 30 minutes using ready prepared crab meat and Essential Cuisine’s Lobster Glace. The rich lobster reduction creates the perfect stock base and also adds a wonderful intense flavour the finished soup.